Monika Sengul-Jones is a Doctoral Candidate in Communication & Science Studies at the University of California, San Diego, and a Visiting Graduate Researcher at the University of Washington, Seattle. She has been researching and developing projects focused on the analysis of gender-related content gaps on Wikipedia. Recently, she created a set of learnings for feminism and women’s studies courses that examine what’s missing from Wikipedia, and transformed it into a teaching opportunity that makes those gaps explicit for students, while encouraging those students to fill in pieces of that missing content. First, experts (or crowdsourced non-experts) look at Wikipedia’s coverage of a topic, for example, feminism and technology, with an eye toward content that could be included, but isn’t. In this post, she describes the experience of partnering with a course that included a Wikipedia-writing assignment. This month marks the completion of a feminist gap analysis project I’ve been working on with funding from Wikimedia’s Inspire campaign. The Gap Finding Project was devoted to addressing gender and systemic bias on Wikipedia. 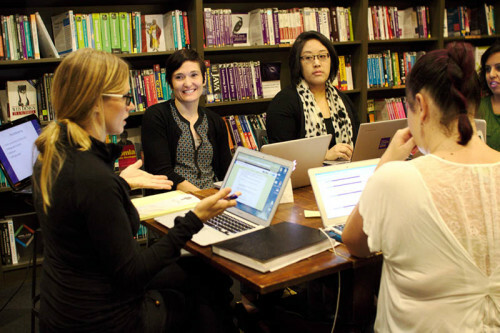 I worked together with five feminist academics at the University of Washington, and Sage Ross at the Wiki Education Foundation, to brainstorm and overcome gender gaps on Wikipedia. This includes, but isn’t limited to, gaps in content. There are many gaps that limit the opportunities to edit Wikipedia, and one of this project’s outcomes was simply naming them, i.e., The Bestiary of Gaps. For content gaps, we created a content gap analysis wiki page to serve as a live repository on missing or incomplete content around feminism and technology. * Based on what we were able to do (and not do), I wrote about best practices on how to engage non-Wikipedian academic experts to identify content gaps. I also wrote about ways non-Wikipedian instructors can use Wikipedia’s gaps as feminist teaching tools – suggesting ways to supplement content editing with more meta analysis. For the gap analysis pilot project, we sought to brainstorm, then put the list to work. Luckily for the project, one of the expert participants, Jennifer McClearen, a doctoral candidate in the Department of Communication at the University of Washington, volunteered to include Wikipedia content editing in an introductory course Critical Media Literacy she taught last fall at the University of Washington-Bothell. 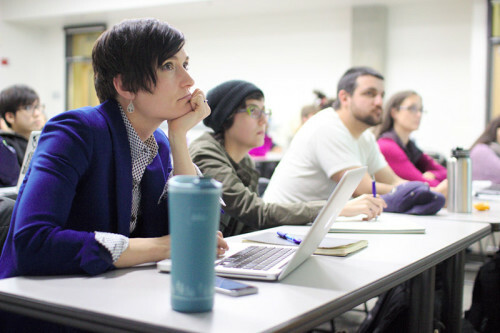 By pairing up with an undergraduate class, we could track the process of distributed editing. Ultimately, the editing was a success. “I am so proud of the outcomes,” said McClearen. Students engaged in a way that she didn’t anticipate, taking ownership over their work and using creative research methods. The contributions would not have happened without her participation in the project. 1. Find a matching class before your brainstorm. A key ingredient to making a content gap list useful is matching the list with a course. While our gap finding session focused on topics in “feminism and technology,” McClearen’s class was an intro-level class on critical media literacy. While she emphasized the ways that gender, race, and class shape media messages and interpretations, thinking critically about gender was just one aspect of her course. Students were allowed to use the list as a resource, but it wasn’t required. McClearen’s 40 students contributed more than 11,000 words and 45 references to 16 pages, but only five addressed topics from our brainstorming session. How could this be done more effectively in the future? Matching the class and the session before the term begins can enable better planning. A second step is to scaffold the brainstorming session as being for this, and future, iterations of the course. Sharing a course description or syllabus at the content gap analysis session would help experts understand what the class will be about. They could tag their entries using keywords, or provide suggestions to match different themes in the course. 2. Pad the assignment with extra time – if possible. Another suggestion, from McClearen, is to spread out the assignment over a longer period. That said, the quarter system is a major obstacle to achieving this goal. McClearen’s class spent the last three weeks of their ten-week class in groups doing content editing. They turned in their final edits in lieu of a final paper. However, having it at the very end of the quarter means students can face difficulties that they don’t have time to address. They likely won’t have “semi-protected” account status, or they may face reference questions from other editors. One way around this is to have students submit their work a few days, or a week, before the final assignment is due. Ultimately, coordinating a distributed content gap analysis partnership will be most successful when there’s a match between the brainstorms and the course material. This pilot project showcases that this can work even when there’s not a perfect match. Future iterations can only benefit from the lessons learned in this project. * I am honored that Wiki Ed’s Jami Mathewson and Samantha Erikson have already used the pattern at the Society for Marine Mammalogy annual meeting in San Francisco to conduct a content gap analysis session with scientists. I hope the pattern inspires more sessions like that!